Retail investors who are new to mutual funds usually go for large cap funds. These funds invest in large market capitalization companies. Investors often view large cap companies as safer investment options compared to small and mid cap companies. Large cap funds are less volatile than midcap funds and their downside risks are limited in bear markets. It is common for retail investors, especially those who are relatively new to mutual funds, to invest in multiple large cap funds, both via lump sum and systematic investment plans. However, having too many large cap funds is not good for portfolio diversification. For one, it results in a lot of overlap in portfolio holdings of the different funds. The universe of large cap stocks in India is quite limited, and the stock holdings of various large cap funds are fairly similar, though the company weights may differ from fund to fund. Also, having a large number of large cap funds may also mean that the investor has picked up some, not so good performers. Financial advisors usually advise investors, with high risk tolerance and long investment horizon to have 25 – 35% of the portfolio invested in small and midcap funds. Midcap funds are more volatile than large cap funds, but they have the potential to give higher returns in the long term. Having small and midcap funds in the portfolio, help the investors achieve portfolio diversification and portfolio returns. Selecting small and midcap funds that may give high future returns is not an easy task. The performance of midcap funds tends to be volatile across years. As discussed earlier in our blogs, recent performance may not be a good indicator of future performance. Diversified equity funds which invest across market capitalizations and sectors are ideal for retail investors. These funds are variously known as, diversified equity funds, multi cap funds, large and midcap funds, flexi cap funds etc. 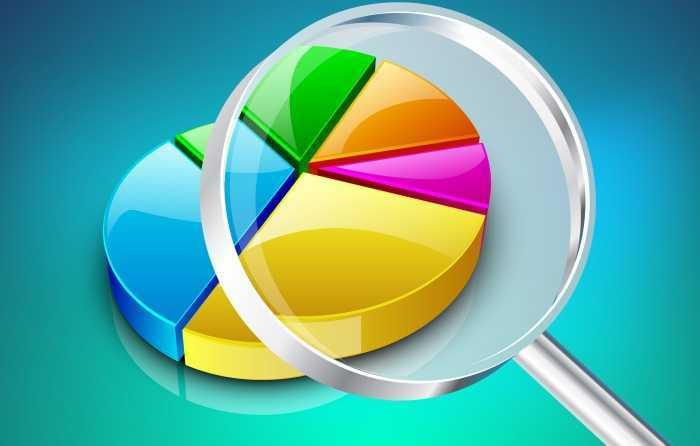 While there may be nuances in investment styles of some of these funds, essentially these are equity funds which invest in large cap, midcap and small cap companies and are not limited to one sector only. We should clarify here that, even the large cap funds may have exposure to small and midcap companies. On the other hand, small and midcap funds may have a portion of their portfolio invested in large cap companies. What distinguishes a large cap, small & midcap and diversified fund is the market capitalization weights in their portfolio. Large cap funds usually have more than 75% of the portfolio invested in large cap companies. Examples of large cap funds are HDFC Top 200 fund, ICICI Prudential Focused Bluechip Fund, Reliance Top 200 fund, Birla Sun Life Top 100 fund, Franklin India Bluechip fund etc. Small and Midcap funds usually have more than 55% of their portfolio invested in small and midcap companies. Examples of small and midcap funds are Reliance Small Cap fund, Franklin India Prima fund, SBI Magnum Midcap fund, ICICI Prudential Value Discovery fund etc. Diversified equity funds, which invest across market caps and sectors, can have 45 – 75% of their portfolio invested in large cap funds and the balance in small and mid cap funds. Diversified funds, which invest across market capitalizations, have several advantages compared to funds focused on any particular market capitalization. Different segments of the market outperform each other in different market cycles. For example large cap companies outperform midcap companies in bear market conditions and in the initial phase of the bull market. When large cap valuations run up in bull markets, midcap companies tend to do well. The midcap stocks which had been trailing the large cap stocks for the greater part of 2013, in terms of returns, caught up with the large cap stocks by the end of the year, and over the past few months, especially after the elections, have outperformed the large cap stocks. Diversified funds have both large cap and midcap companies in their portfolio, and therefore have the potential to deliver good performance on a more consistent basis. Diversified funds have the potential and tend to outperform large cap funds in the long term. The diversified funds have 25 – 50% of their portfolio invested in small and midcap companies. Small and midcap companies have the potential to give higher returns than the large cap companies, because of their earnings growth potential and relatively lower valuations. During bull market rallies, the valuations (P/E multiples) of large cap stocks run up faster and unless earnings growth keeps pace, the valuations can look stretched, making the investors wary. Small and midcap stocks tend to outperform large cap stocks in bull markets. As a result, diversified funds tend to outperform purely large cap funds in bull market conditions. While in bull markets small and midcap stocks rally, in bear markets they suffer sharp declines and liquidity issues. Consequently, small and midcap funds face liquidity constraints when redemption pressure increases in bear markets. Diversified funds on the other hand do not face liquidity problems, since large cap stocks comprise a substantial portion of their portfolio. Retail investors tend to be influenced by "recent" outperformance. In bull markets investors tend to shift from large cap to midcap funds, which give higher short term returns. Similarly in bear markets, investors tend to redeem or stop SIPs in their midcap funds due to the volatile NAVs. However, short term performance may not be a good indicator of future performance. Long term performance depends on fundamentals like economic outlook, company and sector growth potential, fiscal policies etc. Fund managers of diversified funds invest in large, mid and small cap stocks based on the long term growth potential. They also change their portfolio allocations between market capitalizations and sectors, to maximize fund performance within defined investment objectives. Investing in diversified funds precludes the tendency of investors to switch between large and midcap funds based on short term performance. Over the last ten years diversified Equity Funds which invested across market capitalizations and sectors outperformed large cap funds on a fairly consistent basis. The chart below shows the annual (point to point) returns of diversified and large cap funds over the last ten years, from 2003 to 2013. We can see in the above chart that diversified funds have outperformed large cap in most years in the 10 year period from 2003 to 2013. Even in the market downturns the performance of diversified funds and purely large cap funds were more or less similar. Thus we have seen that, while diversified funds have outperformed large cap funds in bull markets, their downside risk is limited almost to the same extent as the large cap funds. These funds are therefore ideal for the retail investors. While diversified funds which invested across market capitalizations and sectors outperformed large cap funds as a category, the difference in returns of top performing funds in both categories on the basis of last 3 years annualized returns is even bigger. We have selected top 5 funds in both diversified and large cap funds categories, on the basis of their 3 years trailing annualized returns. Please note we have considered only regular plans and excluded funds with very small AUM base (less than Rs 10 crores). The chart below shows the trailing annualized 1 year, 2 years and 3 years returns of top 5 diversified funds. Returns based on NAVs as on Oct 3. Now compared to the top diversified funds, please see the chart below for the trailing annualized 1 year, 2 years and 3 years returns of top 5 large funds. Returns based on NAVs as on Oct 3. On a 3 year trailing basis top performing diversified funds have 4 -18% higher returns than their large cap counterparts. The diversified funds which invested across market caps have generated superior risk adjusted returns in terms of alphas compared to the large cap funds. There are a large number of diversified funds in the market. However, not all the funds have given good returns. There is a large performance differential between funds in top quartile and bottom quartile, for any given performance period. While funds in the top quartile gave average trailing 3 year annualized returns of 26%, funds in the bottom quartile gave average returns of only 14%. Short term performance is not a good indicator of long term performance potential of a fund. Investors should consult with a financial advisor to select a fund that has given strong consistent performance. In this article, we have discussed that the diversified funds which invests across market capitalizations and sectors are ideal for retail investors. As such these funds should form a substantial part of an investor's mutual fund portfolio. How much should an investor allocate to large cap funds, small cap funds and diversified funds? You can allocate 100% of your portfolio to these funds. After all, a diversified fund acts like a portfolio of large cap and midcap funds. Some financial advisors recommend allocating 40% of the portfolio to large cap funds, 40% to diversified funds and 20% to midcap funds. There are no hard and fast rules. Based on your risk tolerance and investment objectives you can work with your financial advisor to develop your mutual fund investment plan and select suitable funds for your portfolio.